From ideation to launch, from production to shipping, your brand is in the hands of professionals with can-do attitudes. Wyandot offers extensive technical support, with a team of food scientists that manage your projects from innovation through development, commercialization, and then onto processing and packaging. 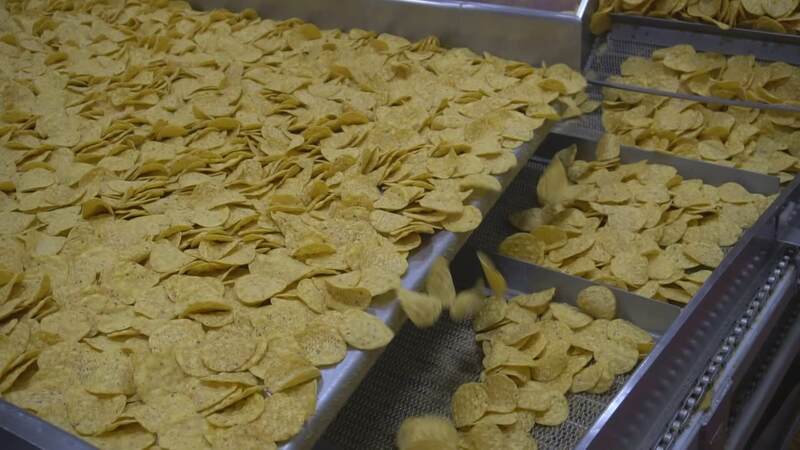 Wyandot’s state-of-the-art snack manufacturing equipment allows us to completely serve all of our customers’ needs. Wyandot is the premier custom manufacturer of great tasting better for you plant based snack foods. 83 Years Proud! From our humble beginnings in a one-room schoolhouse in 1936 to today’s award winning facilities, Wyandot has been founded on quality. Centrally located in Ohio, Wyandot’s manufacturing and warehouse facilities are located within a day’s drive of two-thirds of the US population. On site logistics department providing truckload, LTL and intermodal transit solutions averaging over 99.75% order fill rate. 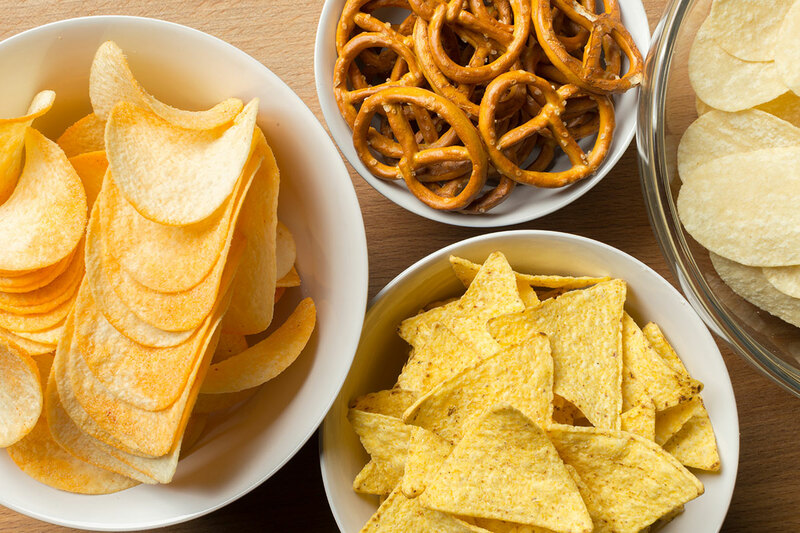 Wyandot partners with leading and emerging food companies to develop and market exciting plant based snacks. Wyandot focuses on Contract Manufacturing, Branded, and Foodservice. Have Questions?How may we help? Wyandot’s 250,000 square feet, state-of-the-art manufacturing and warehouse facilities along with additional offsite 80,000 square feet repackaging and consolidation facilities are located within a day’s drive of two-thirds of the US population. We have spared no expense in the design of our processing and packaging lines. 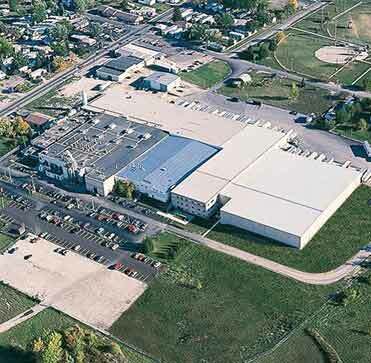 From purchasing to scheduling, from production to warehouse, Wyandot operates as your seamless manufacturing annex. Contracted delivery fleet maintains a 98% on time delivery. Logistics partner providing truckload, LTL and intermodal transit solutions. From our humble beginnings in a one-room schoolhouse in 1936 to today’s award winning facilities, Wyandot has been founded on quality. 83 Years Proud! Still owned by the Brown family, Wyandot is the premier custom manufacturer of high quality grain based snack foods, cereals, and better-for-you offerings for the world’s largest food marketers, restaurants, and retailers. As a full service snack food manufacturing annex, Wyandot offers extensive technical support, with a team of six food scientists and engineers that manage your projects from ideation through development, commercialization, and then onto processing and packaging. Our customer service specialists monitor order entry, scheduling, and distribution, while achieving an impressive 99.5% order fill rate! 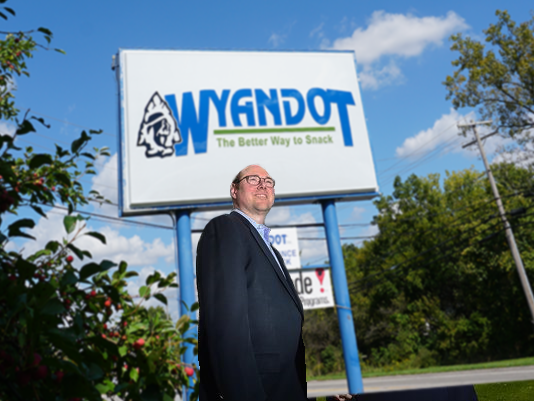 Rob was honored to join Wyandot as President and CEO in November 2015 to lead our efforts to become THE leading manufacturer and co-commercializer of better for you snacks. Prior to Wyandot he was one of the senior leaders of John B. Sanfilippo & Son (JBSS), one of the world’s largest snack and recipe nut companies, and proud home of the Fisher and Orchard Valley Harvest brands. During his tenure with JBSS, which included leading its $400 million plus Consumer Sales division as well as serving as overall chief strategist for the company, he led a successful transformation and market repositioning of this 90 year old family run business. Rob has a wardrobe full of suits and ties from his prior life when he advised owners, entrepreneurs, Boards and management teams of food companies up and down the chain on strategy, business and corporate development, and mergers & acquisitions. Bob has provided financial and Tribal leadership for Wyandot for over 20 years. He joined Wyandot as Accounting Manager in 1991 and with successive promotions became our CFO in 2002, Bob is Treasurer of Wyandot Inc. and chairs the Finance Committee of the Board of Directors. Prior to Wyandot Bob worked with two retail businesses: a 600-store discount shoe chain, and a small but fast growing retail clothing chain of which he was a co-owner. Bryan joined us from Marathon Oil in 1989 and leads our Human Resources team. One of our Tribal Leaders, Bryan has been instrumental in keeping Wyandot not only fully compliant with ever changing regulations but has provided critical guidance through multiple company reinventions. He is an active member of our community, serving as a member of the Marion Chamber of Commerce, SHRM, and the Board of Directors for the Marion Speech and Hearing Center. Schools: University of Findlay, Ashland University (MBA). Mike was privileged to join the Wyandot team in mid-2017. He is a seasoned veteran in the snack food industry, having worked for such key players as Snack Alliance (where he helped launch the groundbreaking RiceWorks brand), Shearer’s, Wise Snacks, and CoPack Solutions. Mike has a passion for people and believes they are the most important part of any great business. Ed joined Wyandot in December of 2018 as Director of Procurement. 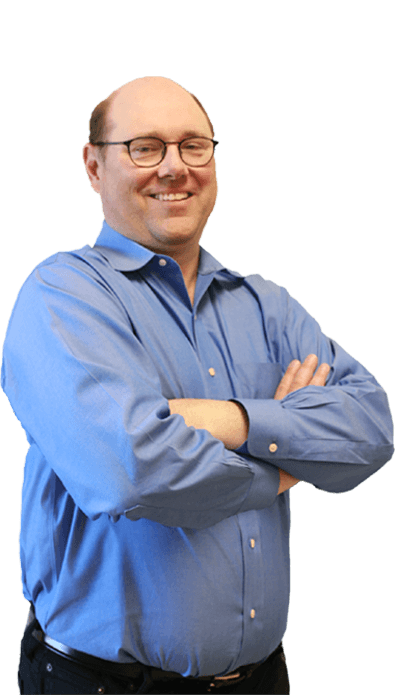 Ed has 20+ years in the Consumer Goods Packaging Industry with The J.M. Smucker Company supporting and leading operations, planning and procurement. 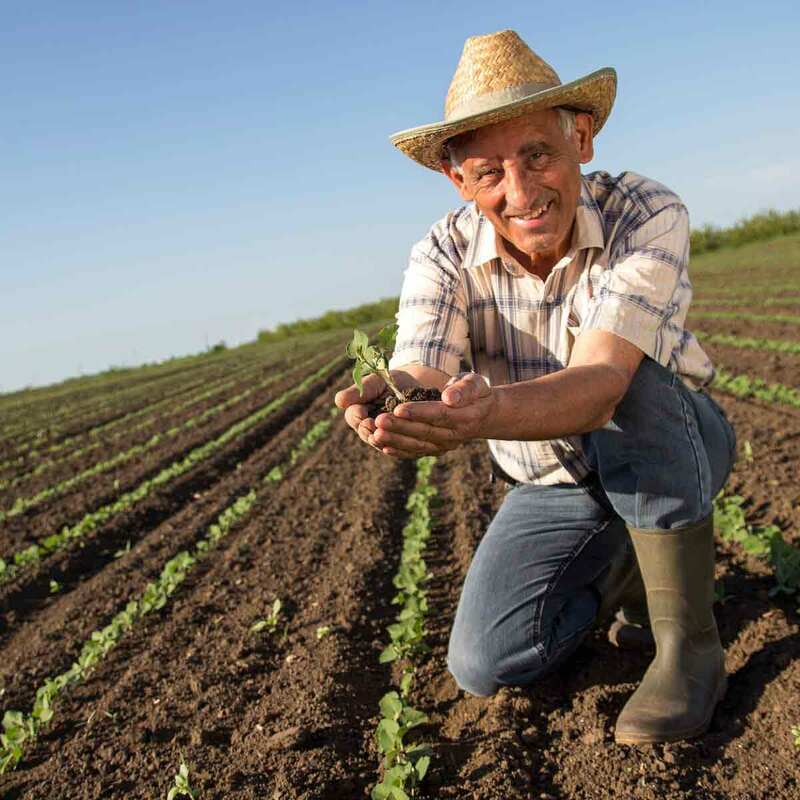 He has been involved in numerous ways to support the organic sales growth and M&A that led to transformational expansion from $600 million to an $8 billion organization. Developing teams, learning new skills, value creation and building strong relationships has been a focus for Ed, and he looks forward to continuing that at Wyandot. Paul joined Wyandot in July of 2017 as Vice President of Sales and is excited to be part of a great team and company with such a rich history of excellence. 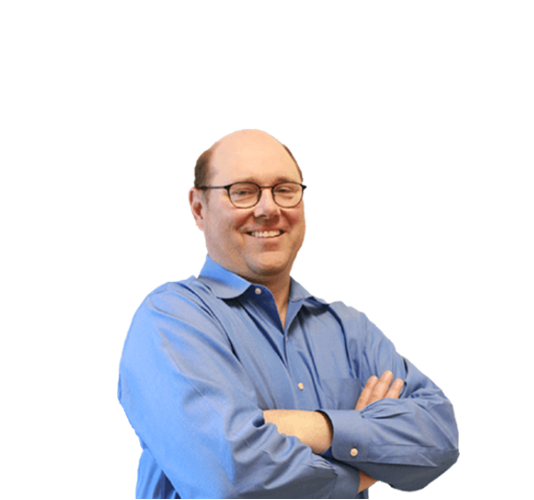 Paul’s background includes a variety of leadership positions with Fortune 500 and midsized companies in the Consumer Packaged Goods and Food Manufacturing industry working with customers in all Retail channels, Contract Manufacturing and Food Service in both the US and Internationally. He has been involved in new product development and the launch of new products throughout his career. Developing relationships and serving others has been a focus for Paul, and he looks forward to continuing that at Wyandot. Brooks has Wyandot in his blood - his grandparents founded the company! He has worked all but three years of his professional life at Wyandot, always focused on meeting customer and prospect needs across all channels (Contract Manufacturing, Foodservice, DSD, and Ingredient Sales), both domestically and internationally. Brooks is passionate about his community, with service on Boards of the Wyandot Popcorn Museum, Marion Rotary Club, Marion Homeless Shelter, Red Cross, and Habitat for Humanity. Don is one of our most important Tribal Leaders – he has been with Wyandot for half of the company’s history and provides critical counsel and guidance to Wyandot’s senior leaders and its overall business. He has worked in or managed in nearly every key function at Wyandot, including Quality Assurance, Product Development, Tech Services, Production, Plant Management, and Operations. Don is also our deepest repository of all things snack (past and present) and is well known and respected throughout our industry. Alicia, one of our seven food scientists, joined Wyandot in 2014 as a Food Technologist responsible for quality control, regulatory compliance, and product development. 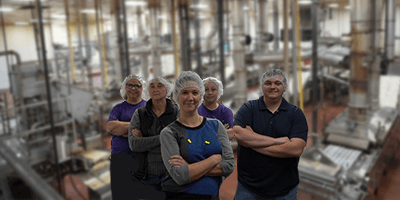 Given the ever increasing demand by consumers for better for you snacks, Alicia’s knowledge and partnering skills around ideation, product development, and market commercialization regulatory needs are now being utilized as the newest member of our Contract Manufacturing team. Before Wyandot Alicia was with Kent Precision Foods Group, a sauce and seasoning manufacturer. Lori is one of our Tribal Leaders with a cause, making sure, that above all, the house puts the customer first. She joined Wyandot over 20 years ago and has worked in most of our critical departments. Sandy’s sole mission in life is to insure that all her customers’ needs are met! She joined Wyandot in 1999 and worked her way up to the leadership role of Customer Service Supervisor. Prior to Wyandot Sandy got great logistics experience working with Purex, part of Dial Corporation. Angie joined the Wyandot team in 2007 as a food technologist. She now leads the product development team. Angie partners with our customers to bring product concepts to life. Prior to joining Wyandot Angie worked at Cargill in the quality department. Adrienne has been part of the Wyandot team since early 2017. As the Quality Assurance Manager, she leads the quality and food safety departments. Adrienne and her team work to ensure our products are safe and of the highest quality. Before joining Wyandot, Adrienne worked for the Kroger company in their manufacturing division. Jeni joined Wyandot in 2016 as a Food Technologist. As one of our Food Scientists, her focuses were Extruded Product Development and Regulatory. She transitioned to Sales and continues to help shape the next generation of Better-For-You snacks. Before joining Wyandot, Jeni was a Product Development Specialist at Robert Rothschild Farm making sauces and dips. LOOK WHAT'S POWERED BY WYANDOT!